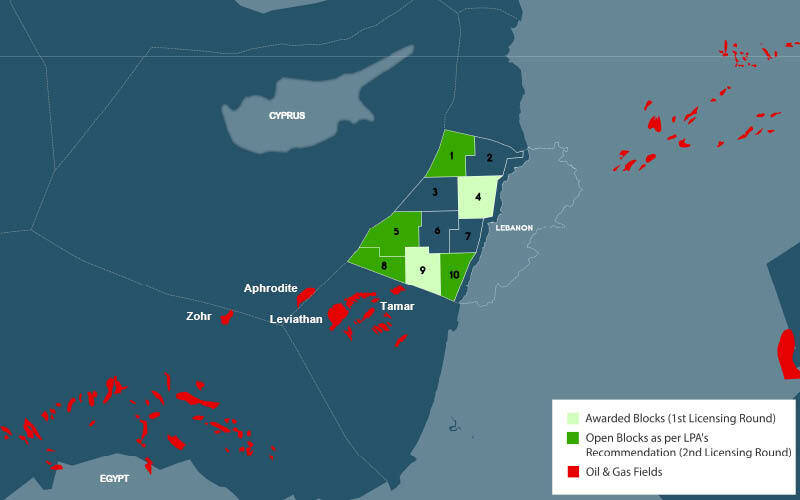 GEO ExPro - Will Lebanon be the Next Hydrocarbon Exploration Hotspot? Wissam Chbat (Board Member, Head of Geology and Geophysics Department at the LPA), Wael Khatib (Geologist) and Jad Abi Khalil (Geologist). Despite prolific hydrocarbon indicators, offshore Lebanon is the last place to be explored in the Eastern Mediterranean. With a new round opening, will Lebanon be the next exploration hotspot? Figure 1: Prospects mapped in Lebanon are on trend with major discoveries in the Eastern Mediterranean. The Northern Levant Basin offshore Lebanon is the last place to be explored in the Eastern Mediterranean. Figure 2: Available Offshore Seismic Surveys. 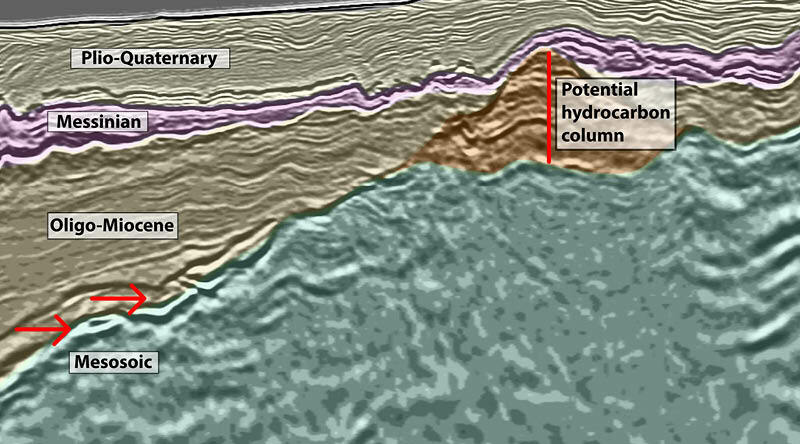 Surrounded by proven hydrocarbon discoveries to the west and south, including the offshore fields Tamar, Leviathan, Aphrodite, Zohr and Calypso (Figure 1), as well as the many other discoveries onshore to the east in the Palmyrides, the Lebanese Basin is ideally situated for hydrocarbon exploration, lying as it does in an area proven to have favourable trap, reservoir and source rock combinations. 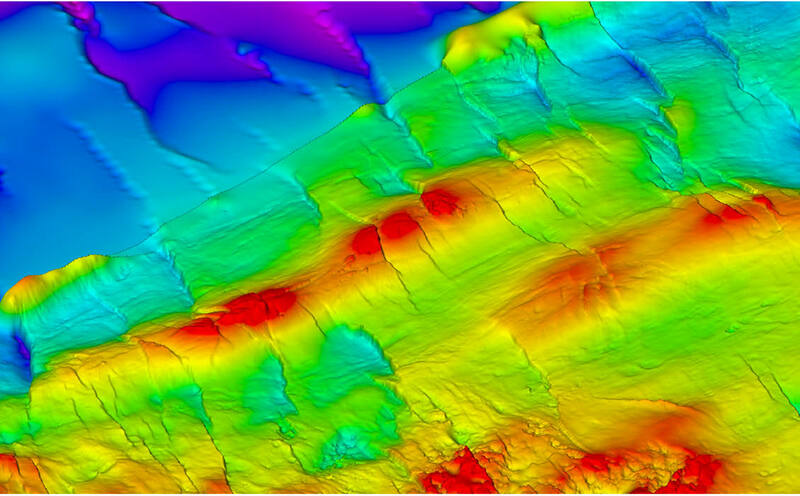 Hydrocarbon exploration in Lebanon is moving at a fast pace due to the accessibility of extensive geophysical data, which was made available even before the closure of the first offshore licensing (Figure 2). This remarkable - possibly unique – situation, means that this wealth of information will allow stakeholders to learn a lot about the offshore hydrocarbon potential of the area, right up to prospect level, ahead of the important decision-making processes inherent in the industry. Various prospective targets have been identified offshore Lebanon in siliciclastic, calciclastic to bioclastic lithologies. These targets are found in structural traps such as symmetrical anticlinal structures (Figure 3) and simple 3-way dip faulted anticlines (Figure 4). 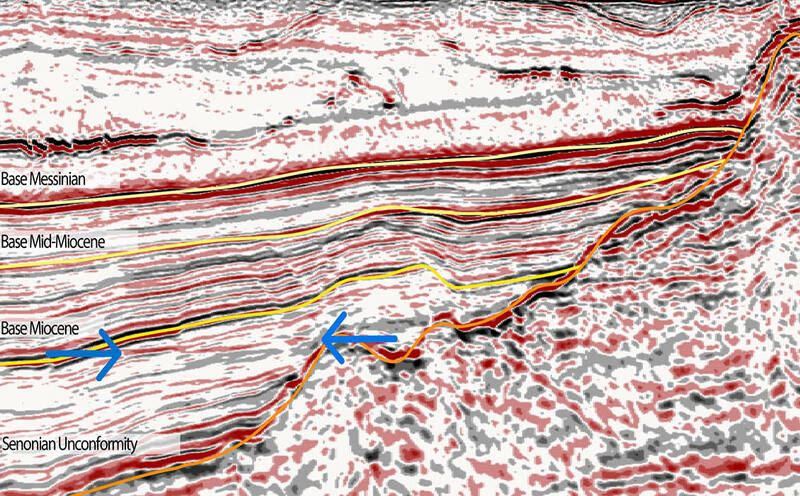 There is also evidence of stratigraphic traps such as pinch-outs with associated direct hydrocarbon indicators (see Figure 5). Figure 3: Anticlinal trap 4-way dip closure. Figure 5: Stratigraphic trap showing a flatspot. Two conclusions can be drawn from the aforementioned fact. The first is that offshore Lebanon, being the last undrilled acreage in the Levant Basin, is an area that should be integrated into the exploration cycle. It can be demonstrated that the 250-300m Early Miocene sand sequence, proven in the south Levant platform, thickens to over 1 km in the north Levant Basin (see Figure 6), so the Oligo-Miocene succession offshore Lebanon can be seen to provide excellent targets for biogenic and thermogenic hydrocarbons. It is important to note that, prior to the collision of the African plate with the Turkish fold and thrust belt, which effectively closed the passage between the Mediterranean and the Persian Gulf, the previously open seaway was subject to strong anti-clockwise contourite currents on the Mediterranean margin. It is thought that these that would have de-silted the turbidite flow. Figure 6: South to north across the Levant Basin. An equally important conclusion that can be drawn from the creaming curve is that the 2015 Zohr discovery was a paradigm shift in the exploration cycle. This carbonate discovery was subsequently followed up with the lookalike 2018 Calypso discovery in Cypriot waters. Seismic profiles offshore Lebanon indicate the presence of carbonate platforms and encouraging build-ups of the same nature along the margin (Figure 7). Given the impact of recent giant carbonate discoveries in the Eastern Mediterranean, these carbonate build-ups constitute interesting targets for any future exploration activities. Figure 7: Carbonate build-up. Basin modelling shows a strong potential for a mixed biogenic and thermogenic system offshore Lebanon. Recent studies and modelling reveal the potential for several gas-prone and oil-prone source rocks, found from the Triassic to the Neogene, feeding into the North Levant Basin. Dr Munim Al-Rawi; Carta Design Ltd.
A review of the textbook "The Geology of Lebanon" written by Fadi H. Nader and published by Scientific Press Ltd. in 2014. Will Lebanon Be the Next Oil Province? 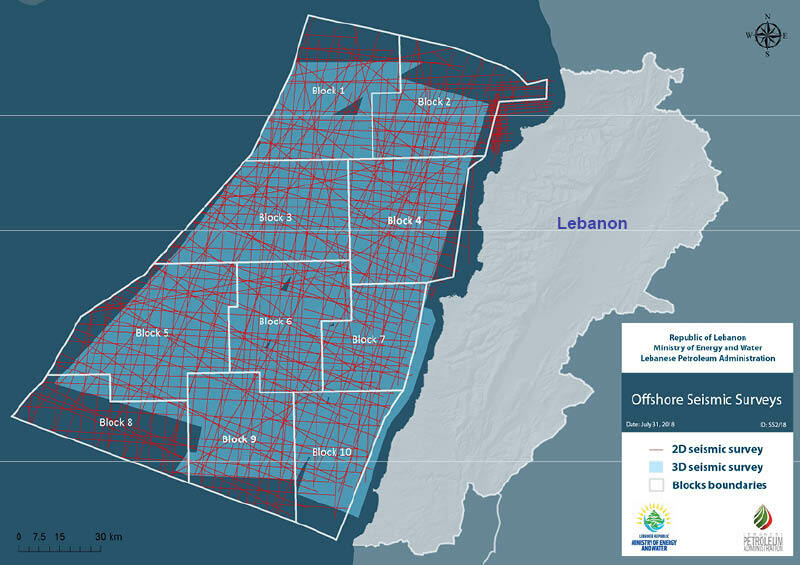 After several years of preparation the first offshore bid round in Lebanon is now open. 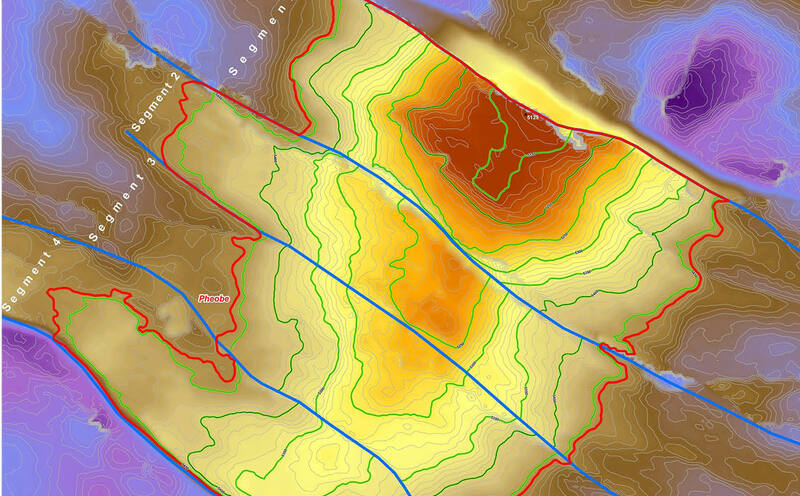 Petroleum Geo-Services has acquired non-exclusive seismic data covering all the 10 exploration blocks of the 22,730 km2 offshore area.